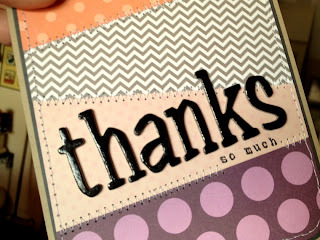 I made this card for the November Card Challenge for color, you can see the color, HERE. For this card I used My Little Shoebox, Sn@p and KI Memories. I would have never put these colors together on my own, but I love how they look together!! The thickers are by American Crafts and are called Netmeg. The "so much" stamp is from My Mind's Eye "Happy Days" Stamps. I also stitched together where each paper meets. 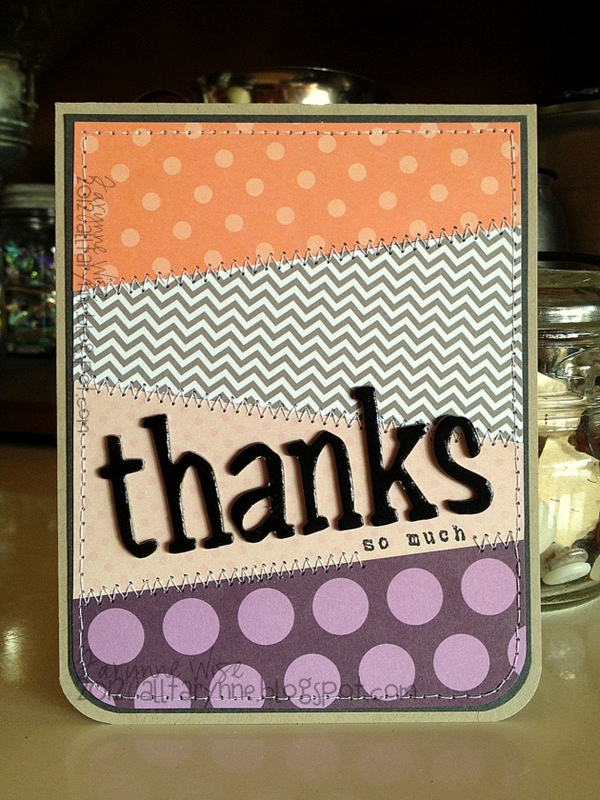 I made this card for the November Card Challenge for lift. You can see the card we lifted, HERE. 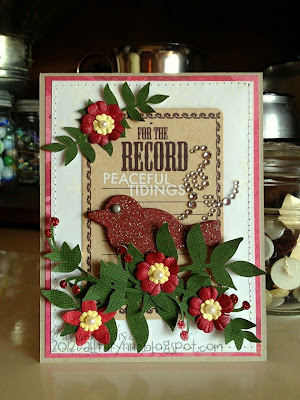 This card is VERY MUCH out of my comfort zone, but I like it! You can't really see it, but layered on top of the white paper is vellum that has snowflakes embossed in it. 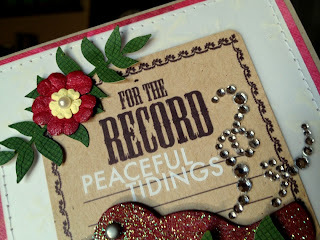 I used My Mind's Eye "For the Record" Card and used Stampin' Up! 's "Season of Cheer" Rub-Ons for the sentiment. I also added some Bling It Rhinestones from Basic Grey. The little bird is from an old 3 Birds Rub-On set that came with a cute little clipboard and had this little guy on it. I knew it would come in handy one day! I painted him red and covered him in Doodlebug's Sugar Coating Glitter. I gave him a mini silver brad for an eye. I used my cricut and the Stretch your Imagination cartridge to cut these leaves. 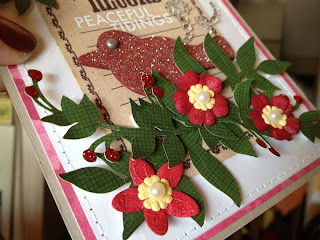 I inked them with Peeled Paint Distress Ink and filled in the berries with Christmas Red Stickles.